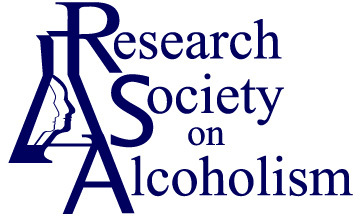 Attending or presenting your research at RSA is an opportunity to learn about the latest in various areas of alcohol research, present your recent findings, and for networking opportunities. As an RSA attendee and/or presenter, you’re expected to practice tolerance and respect for everyone, including attendees, staff and vendors, regardless of their background, gender, class, political views or status. Respect people’s space and everyone’s ability to be an attendee. Invasion of privacy, including taking photos that are unwanted or intrusive. Contact us to report an incident. If, while at (or after) the RSA Meeting, you have been involved or have witnessed an incident that violates the RSA’s Code of Conduct, please contact the RSA Director, Debra Sharp, at debbyrsa@sbcglobal.net or personal cell 512-422-4630. Share as much information as you can to help us make a thorough investigation of the onsite incident. If preferred, have your mentor contract Debra – either way the information shared will remain anonymous. RSA will investigate all incidents reported at (or after) the meeting with discretion and confidentiality. RSA reserves the right to bar any person who violates our Code of Conduct from attending the RSA Meeting in its entirety or in part, and/or to cancel the membership of the person without refund.